This week has been just beautiful hasn’t it?! Well, it has in my little part of the world, beautiful sunny days and fabulous flowers all over the place. But it has been a week of absolutely no crafty progress. The reason? WORK. It just has to get in the way. To be honest, I actually really enjoy my work. But this week I was planning to work on Tuesday and Wednesday then have Thursday and Friday free to finish off the baby blanket (and maybe start one or two other projects!). Instead, I ended up working the whole week and most of my ‘free time’ was spent planning for more teaching! Therefore, absolutely NO crochet has been done all week. And as a result I’ve had nothing to tell you about, hence no blogging. Let me start by staying how completely over optimistic I was to think that my 36 teeny tiny squares would be big enough to make a baby blanket. I was kinda hoping that by the time I’d added the white borders to all of them they’d grow to be big enough. So I got to work again and made another 12 teeny tiny squares to add another 2 rows which made it rectangular (Mum’s idea – she thought it would look better that way. I wasn’t entirely convinced at first, but liking it now). Then I made another 32 squares, enough to go all the way around. But this time I made them from just 1 colour rather than 2. And that’s where I’m up to – adding all these extra squares around the edge. And now, with all my preparation done for tomorrow, I’m going to enjoy a little Ally McBeal whilst finishing my blanket. Bliss! Edit to add: So much for finishing the blanket – I’ve run out of white wool! And only 6 squares to go. So annoying. You know that to do list that I showed you at the beginning of the week? The one with all the unfinished projects that I was going to finish this week becuase I had no plans? Good news: I still have the list. Bad news: I still haven’t crossed anything off it. Oh dear. Yes, I managed to finish the baby sleep sack, but it doesn’t count becuase it wasn’t on the list. And the nearly finished bag is still nearly finished, but I haven’t got any further than the other day. That’s partly because I’ve ended up having a busier week than I expected, with things like preparing for a job interview to do. But it’s also partly because, as usual, I’ve got distracted and have started another project! In my defence, I only started it yesterday, and I’m hoping that it’ll be finished fairly quickly. This is how far I’ve got so far. It looks like a crazy kind of caterpillar doesn’t it ?! (Although if caterpillars really looked like this I probably wouldn’t get so creeped out by them) I’m so glad I managed to find my stitch holder (I pulled off the knitting that was on there, as I’ve not touched it for years, and have already started using the wool for other things!) otherwise all my lovely little squares would be all over the place. And they’ll be joined with white wool. I’ve been inspired by many similar projects I’ve seen, with beautiful colours all joined with white. This will be a baby blanket, because even though each square only takes 5 mins to make, I’ve not made a blanket before and kinda want to try it out before I commit myself to anything bigger. If I make a little blanket and it all goes wrong it’s not too disastrous. If I make a big blanket and it all goes wrong, that’s a lot of wasted time and a huge amount of frustration. I love this one because it reminds me of a daffodil. And I love this one because it’s pink. I don’t think I need any other reason do I?! I had little blog catching up time this morning and was reading through Creative Pixie’s blog. 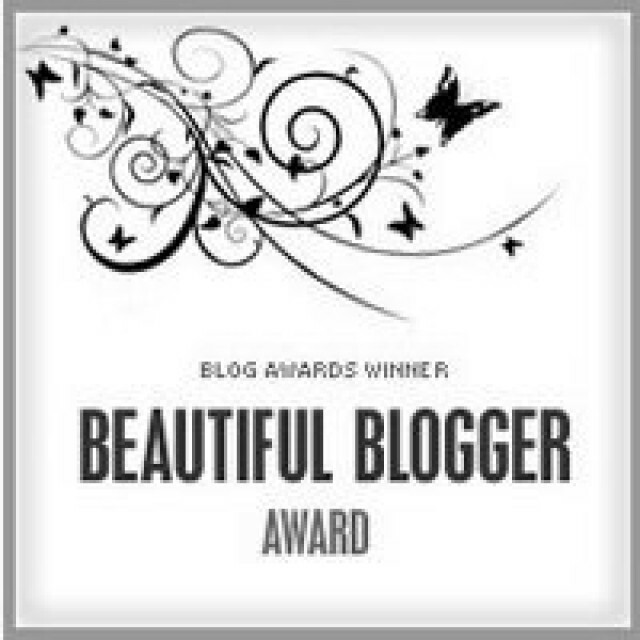 I saw that she had been nomintated for the Beautiful Blogger Award and thought to myself, “That’s a really lovely idea! I wonder if anyone will ever think my blog is worth of an award.” Then as I scrolled down I saw that I was nominated! How exciting! 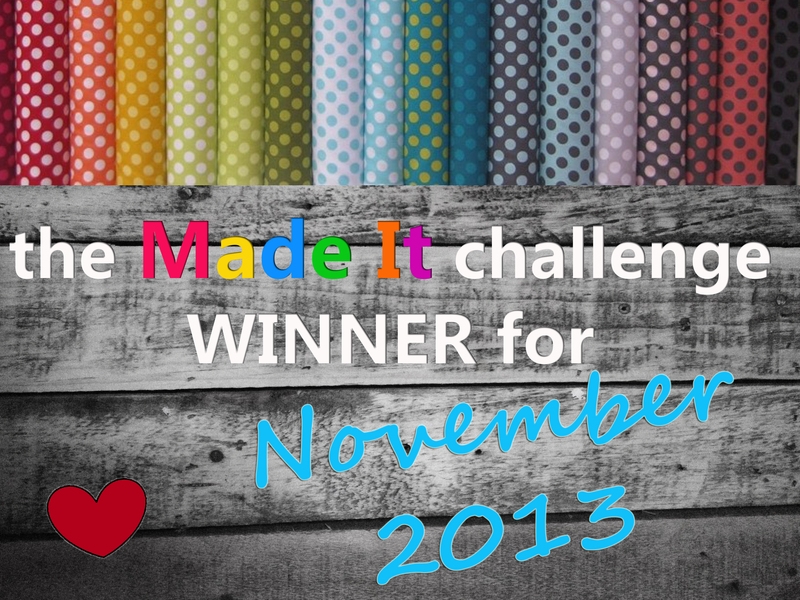 Thank you so much for nominating me – it really made my day! 1. Thank the person who nominated you – Thank you for the wonderful surprise of a nomination! I’m having a ball recording my creative endeavours, and loving the comments I get from readers. 2. write a few interesting (?) facts about yourself. I am a teacher and love the flexibility of supply teaching as it means I have a lot of time for making pretty things! 3.paste the award on your blog – see above! However, it has been at this stage for a few days, because as I was working my mind was wandering. I thought to myself “I like this circle bag. It will look good when it’s finished. But I wonder what a rectangular bag would look like? How could I make one of those?” So the circle bag was put down and I started experimenting with a rectangular bag. For my first attempt I made a long foundation chain, then worked dc (US sc) all the way along it on both sides. When I’d worked all the way around I repeated this with another colour. It was at this point that I realised my mistake – I’d made the chain as long as I wanted the bottom of the bag to be, not taking into account the fact that it was going to get bigger with each round I worked – d’oh! So it would end up being much bigger than I wanted. But the work was not wasted – it will now become a strap for one of the bags. Second time around I decided to make a very short chain and work rows of 9 dc. I also worked with 2 strands of wool and a 5mm hook to make the bottom slightly more sturdy. When it was the right length I changed colour and, still using 2 strands of wool, worked a border of dcs all the way around. Then using the same colour but one strand and a 4mm hook, I began to work rounds of htrs (US hdc). I’m using Stylecraft Special DK with the most delicious sounding names! From dark to light they are Lipstick, Pomegranate, Fondant, Candyfloss and Cream. Good enough to eat (perhaps with the exception of Lipstick – that would just be weird). As you can see, the corners are not very defined, so I think I’ll probably blanket stitch along them when it’s finished. I’ve also spent a little time this morning sort out my wool. A couple of balls were getting near the end and starting to get pretty tangled up!